I present the following remarks in solidarity with Dan-el Padilla Peralta’s response to the racist aggression that Mary Frances Williams leveled at him at this year’s AIA-SCS meeting. 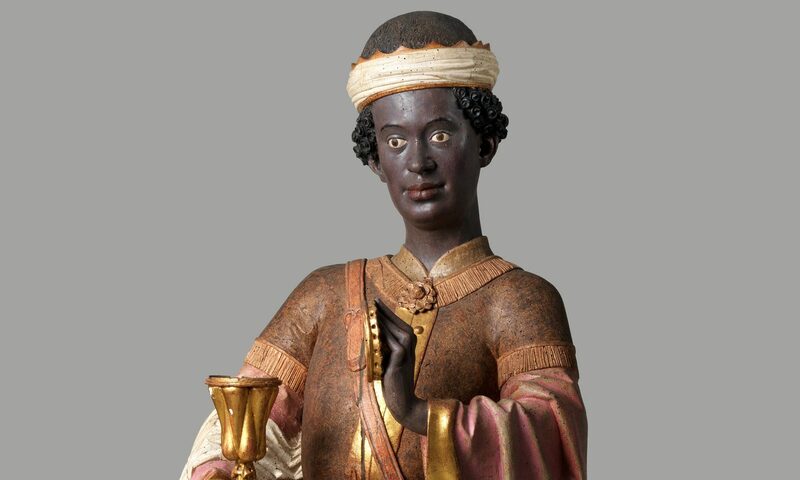 I am not a classicist; however, both independently and through my work with the Medievalists of Color, I have responded to racism as it exists within a discipline exploring premodernity: I offer my perspective in that capacity. In the several days following Williams’ comment, I noticed calls for additional “context” and evidence for Williams’ comment despite the evidence that existed in social media testimonies and an account in IHE. Josephine Crawley Quinn’s analysis further observes the expression of “coldly familiar academic skepticism,” what she calls the “comforting rigor and caution” of deferring certainty about “exactly what happened.” In the service of that comfort, some wished for video or other means to ascertain the full content of the presentation or the panel. I’d like to use this event in the Classics community as an opportunity to argue that making substantive change – to this academic field, to others, or elsewhere in the world – requires broadening our understanding of what constitutes explanatory or probative context for harmful events. I didn’t know, until the news about Padilla appeared, that Mary Beard gave a featured lecture at this conference, but once I learned that fact, it seemed to me crucial context for understanding Williams’ comment. The SCS’s choice of Beard makes clear their inability to understand what they would need to do to achieve their goal of allowing “no place for racism.” Deplatforming racism means not only ejecting individuals who say racist things but also deploying relevant critical and political knowledge to uproot racism systemically. Let me be clear: I am utterly uninterested in categorizing Beard herself – or Williams, for that matter – as racist or not racist. My point is that Beard’s online presence indicates her unwillingness to discuss racial politics in an informed way. In that capacity, her prominent speaking position at the meeting necessarily impedes the SCS’s goal to stamp out racist behavior. As Priyamvada Gopal states, Beard’s denigration of Haiti fails to mention that country’s world-historically significant uprising against slavery and colonialism. Beard calls out what she terms “structural complicity” as part of a critique of US prison sentencing. Yet she declines to acknowledge decades of analysis considering those very issues of sentencing and social complicity through their deadliest manifestations: the wrongful conviction and unequal sentencing of black people. It’s Beard’s right not to learn or speak about racial politics in a critically engaged manner, but a conference aiming to combat systemic racism cannot amplify such a voice. In amplifying it, the conference produces a context allowing – I might even say ensuring – not only Williams’ comment but also, and significantly, the Sportula scholars’ racial profiling and harassment. While I find it relevant context, I can see how concentrating on one much-discussed individual like Beard might appear to some to excuse accountability for what is in fact a systemic problem. I’d therefore like to get closer to Williams’ comment to think about how one of its more immediate contexts – the context, that is, of demanding context for it – can illuminate the event’s relationship to pervasive systems of bias. Williams’ words would seem confusing and shocking, to the point of beggaring belief, only to those who do not live inside a tapestry woven with the treacherous millefleur of just such statements. I’m not saying that no one should ask for any more information about Williams’ presentation. I am saying that those seeking further data might find themselves formulating more productive, precise, and thoughtful questions if they inflect their inquiry with an awareness of how the comment – and reports of it – sounded to people of color. That is also a context, one that speaks back to what has been called the “culture of disbelief,” a culture that risks harming many – people of color, women, poor people, and others. In further understanding the dynamic of demanding context in the instance of the SCS, I suggest that we recognize that no act of seeking evidence or probative context is ever racially neutral. The racialized nature of our historical relationship to evidence-gathering provides an important context within which to understand the present example. Once again, in making that point, I’m interrogating the assumption that the construct of statement-plus-transcript-of-whole-conversation is the only determinative contextualizing model. Requests for context and evidence surrounding Williams’ statement might reflect a fair-minded, intellectually curious, and rational aim to seek the most information possible. At the same time, we must attend to the possibility that – for all of us – such requests arise from a deep-seated investment in white intentionality and particularly in what Koritha Mitchell and others identify as the special innocence of white women. In contrast to this cherishing of perceived innocence, the US’s record of not only the wrongful convictions and unequal sentencing I mentioned above but also extrajudicial punishment emphatically illustrates how, when it comes to black people, we cherish the ascription of guilt, and we tolerate and encourage the lack of evidentiary requirement to do so. In that context, I cannot accept that calls for additional evidence and context for Williams’ statement simply intend to ensure that misunderstanding or unfairness does not correspondingly occur in this instance. The evidentiary requirements for Williams and for the history of black condemnation are not parallel examples to set beside each other, nor a slippery slope on which one careens into the other. Desiring information to reward our expectations of a white woman’s innocent intentions, despite what many affirmed to be her virulent words, offers a telling contrast to the larger context of race and evidentiary demand. That contrast elucidates the white supremacist structure enabling the aggression in the first place. If we don’t actively target that white supremacy, we will always find ourselves sinking into the comfortable cushions of its historical precedent. We will always find ourselves in structures that suspect – with neither hesitation nor justification – and then police and exclude community members of color, while from within such structures we demand further proof upon proof that “crystal clear” racist words are in fact racist. I have no doubt that some classicists will find what I’ve said presumptuous as well as uninformed about the nuances or history of the field. To the latter charge, I’d say that I am not the only non-classicist watching the field and interpreting the information available. What the SCS and Classics do next will matter more to many than the reasons or intentions underlying what they’ve done so far. To the former charge, I agree – no one asked for my outsider’s opinion. But as a medievalist, I hope to reach out to my fellow travelers in premodernity so that we can think together about what to do next. I and others have suggested to medieval studies the possibility of dismantling our field’s major institutions; I admire and support Padilla’s proposal that Classics keep “demolition…on the table” as well as his more recent elaboration on the possibility that his discipline will not get better without significant structural “overhaul.” As an academic with the privilege of a stable job at a stable university, I think it’s my duty – and the duty of all in such positions, as well as the duty of our scholarly organizations – to figure out how to topple the harmful edifices of these early-period fields while protecting from harm those most vulnerable residing in them. I’d love to see Classics and medieval studies think together about this question, which forms another context essential to consider.